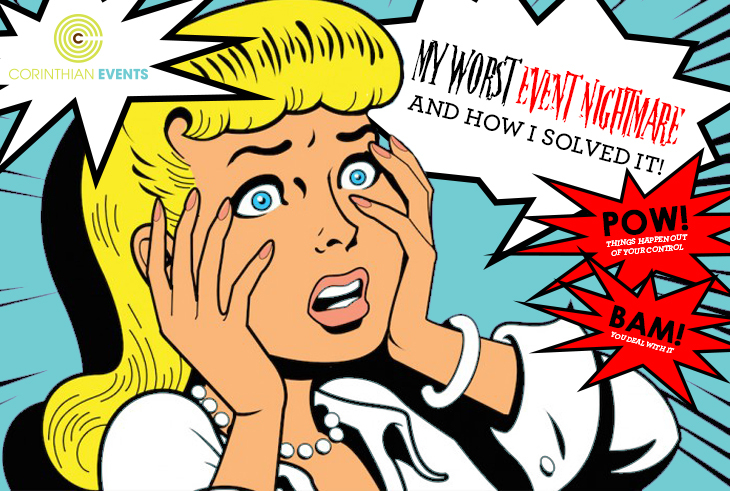 Every event planner's nightmare consists of problems that can happen outside their control. We had a client reach out with a last-minute request for customized bags at a low price point, so we went to our vendors list to see what we could do. We reached out to our local trusted vendors, but unfortunately, we couldn't align the client's price-point with their expectations. We did what anyone in a tight-turnaround, low-budget situation does – we turned to the internet. We did our research and found a great vendor who was able to accommodate our request at the price point we were looking for. He was responsive, professional, and even sent us beautiful photographs from different angles of what the finished printed bags looked like. All was right in the world, and we paid to have the shipment expedited. A few days went by when we checked in to ensure the bags were shipped and the vendor was unresponsive. Days went by – no response! I started to get more and more nervous, and my emails became sterner but still no response. The vendor was gone, the money was gone, and we were bagless. In a scramble we had to reach out to our local vendor again and pay him out of pocket to not only do this large order but to rush it. This was a lesson in staying alert and aware, even in a situation where quick decisions must be made. Despite our best efforts, a deal that seemed almost too good to be true, turned out to be just that. We were right in our judgment of what it would cost to produce what the client wanted and were caught in the middle between what was feasible and what was desired. In the end, however, we accomplished what needed to be done – the bags were beautiful, and the client was happy!